Netball - 29. August 2018. 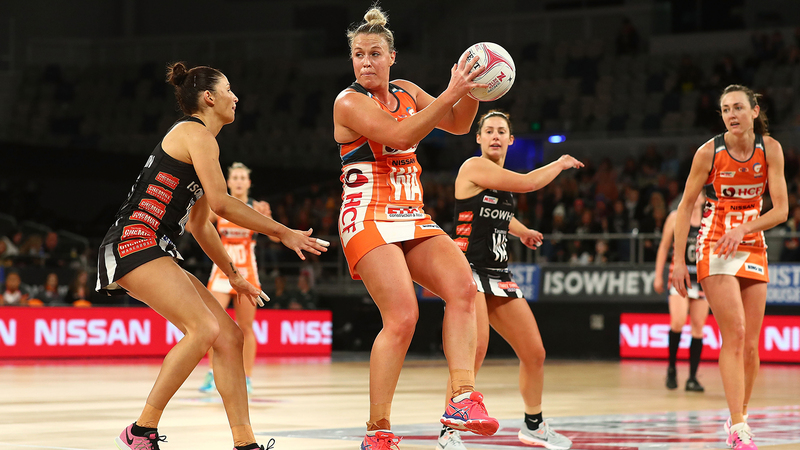 GIANTS NETBALL TODAY ANNOUNCED THAT CAPTAIN KIM GREEN AND VICE-CAPTAIN JO HARTEN HAVE COMMITTED TO RETURN TO THE COURT IN ORANGE, OFFICIALLY RE-SIGNING AS GIANTS FOR 2019. The GIANTS Netball leaders were integral to the team’s remarkable entry into elite netball and the Suncorp Super Netball (SSN) league two years ago, with the team making appearances in the finals for consecutive seasons – making the Grand Final in 2017 and the Preliminary Final in 2018 – and finishing as Minor Premiers in 2018. 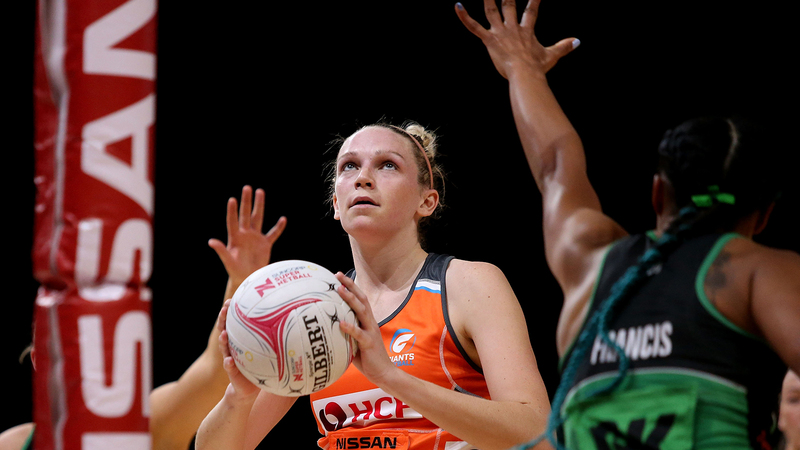 Known for her strategic vision, bullet passes and clever circle feeds, 32-year-old Green will now play her 200th elite national netball game as a GIANT in 2019. She made an impressive return to the game at the beginning of 2018 after a season-ending ACL injury in 2017, not missing a beat in helping lead GIANTS to lock-in a Top 4 spot for the duration of the season and finishing the regular season with the third most goal assists (338). “I am so excited to continue to play as a GIANT next year and remain a part of the orange family. These last two seasons have been so special and I am proud to be part of a team that has achieved amazing highs at such an early stage. “We have the best members and fans in the league and their support through my injury gave me such a boost to get out there and give it my all this season. I can’t wait for 2019 and what is sure to be another huge season with GIANTS Netball,” says Green. 29-year-old Harten, who has signed a multi-year deal with GIANTS Netball, showed her versatility as a shooter this year. With a remarkable reach, creative plays and a uniquely defensive mindset for an attacker, Harten was a real playmaker for GIANTS in 2018. The English international had a massive 2018, including winning gold with the England Roses at the Gold Coast 2018 Commonwealth Games and was the GIANTS’ top goal scorer with 453 goals from 520 goal attempts. “The GIANTS have become my second family and Sydney my home away from home, so I’m absolutely ecstatic to sign on to be a GIANT through to 2021. “I love being able to go out there on the court and represent our orange army of members and fans. Their cheers and support are such a huge part of our success. “We didn’t get the result we wanted this year, but I can’t wait to come back next season and show everyone in the league the might of the GIANTS,” says Harten. Head Coach Julie Fitzgerald is very pleased to have the two experienced players re-sign with GIANTS Netball. “Both players have a huge impact on court and are able to influence the direction of a game with a few spectacular plays, while their understanding of strategy is a real asset to me as a coach. “I couldn’t be prouder of the way that Kim and Jo have stepped up as leaders this season, both on and off the court. They have a wonderful ability to get behind the other players and drive the team to victory, while their guidance and support of teammates has helped us build a closely connected family culture at GIANTS. These are just some of the reasons that I knew we needed to have them back in 2019,” says Fitzgerald.